I have a small piece in the Independent celebrating BFI Flipside, the BFI’s DVD label for forgotten, weird British films from the 1960s and 1970s. The key Flipside films for any self-respecting London nerd are ‘London In The Raw’ and ‘Primitive London’, two endlessly fascinating exploitation documentaries that ‘lay bare’ the London of the mid-60s, with much emphasis on the weird and the shocking. These are dayglo Soho-obsessed precursors to the rightly cherished London classic ‘The London Nobody Knows’, but possibly more entertaining for their utter shamelessness: here you’ll find strippers, wife-swapping, prostitution, Jack The Ripper re-enactments – anything that may titillate and tantalise. It’s pretty tame stuff now of course, which is partly what makes it so intriguing. This is a key point of London history – as the hairy freaks massed their forces in preparation for the myriad cultural explosions of the late-60s – and these films capture some of that sense of a city teetering on the brink of… something. Check them out, you won’t be disappointed. 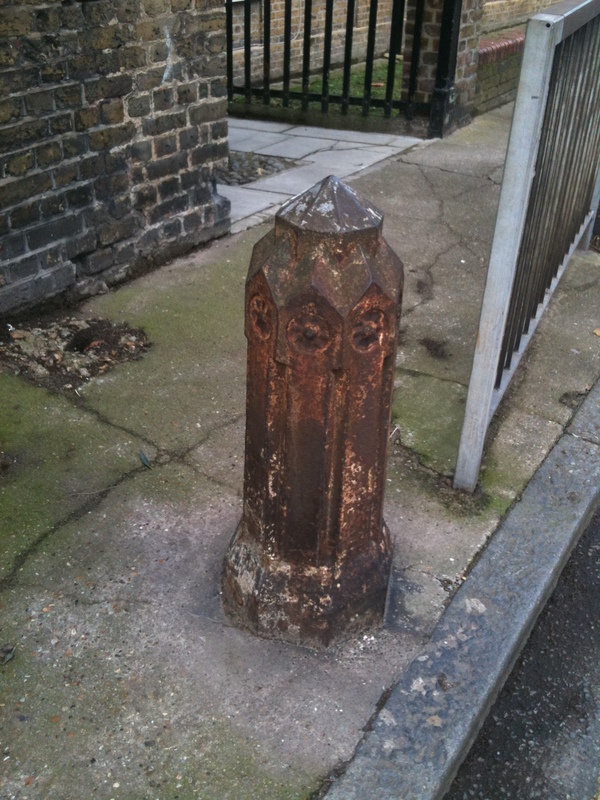 I first came across John Kennedy’s brilliant Bollards of London blog shortly after he started it two years ago, when I idly googled ‘London bollards’ one evening (that is the sort of thing I do). I’ve been fascinated by bollards for years, ever since I pretended to be an art cinema-loving ponce and went to see Ben Hopkins’ weird London demi-classic The Nine Lives Of Tomas Katz at the ICA and was transfixed by a montage scene involving talking bollards. Many years later I sent M@ from Londonist on a quest to locate London’s top ten bollards, but John has taken this to the extreme and now has over 100 London bollards on his site. 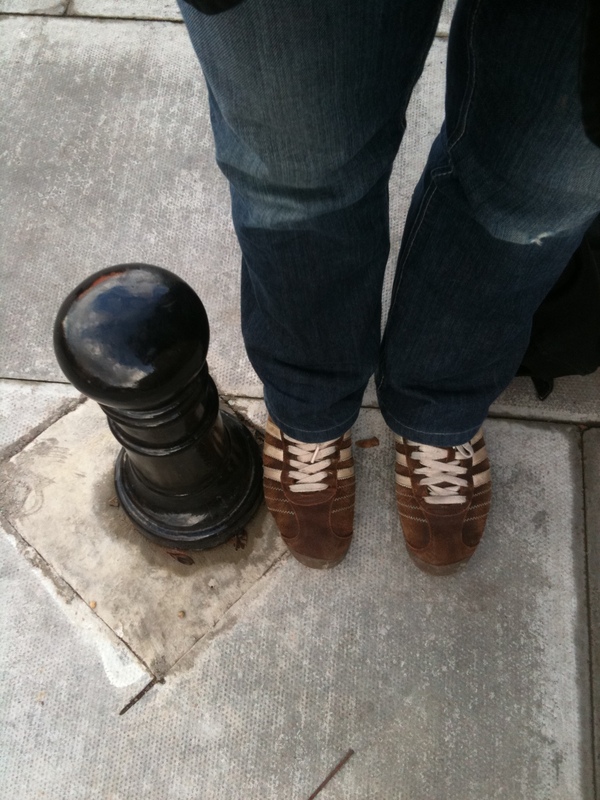 Bollards are great. They are everywhere and they are all different. Here are two I snapped last week, located within metres of each other in Wapping but very different. This one is fat, old and very rusty. This one is new, shiny and very, very short. It barely comes up to my knees and nobody would ever describe me as a giant. Amazing eh? If you agree, check out John’s site, where he will shortly be presenting my top three London bollards from his collection. The current issue of Uncut magazine contains my feature on the London underground press of the 1960s and 1970s. It includes a number of stupendous quotes like the above from Mick Farren, one of the most colourful figures from the British psychedelic left. The piece covers the founding of International Times in 1966, the relationship between the underground press and pop stars, the difficulty of publishing, happenings at the Roundhouse and Alexandra Palace, the creation of the UFO Club and the gradual demise of the movement after the dehibilitating OZ trial of 1971. Interviewees included Pete Townshend, Mick Farren, Marianne Faithfull, Robert Wyatt and Jonathon Green. Townshend was particularly reflective on his troubled relationship with the counterculture, and I’ll post the whole thing up here shortly. There is some great stuff on the internet about both these publications, which in different ways served the needs of London’s young and switched-on population who were not being sufficiently satisfied by either the mainstream newspapers or the pop press. (And does that sound familiar or what?) They covered pot, pop and politics, were revolutionary in their use of colour, design and language and paved the way for later influential print movements like the punk and football fanzines of the 1970s and 1980s. The entire International Times archive is online, a hugely valuable resource for hippy-watchers. Discover it here. Some of the old IT heads are also collaborating on a blog called The Fanatic. For those interested in the OZ trial, I recommend the following two-part news clip made for Australian TV at the time of the trial in 1971. It’s a fascinating watch. Last week I attended my first auction. It was at Christie’s, the grand London auction house who hold their blockbuster Impressionist and Modern Sale every February. It was a strange experience. This will almost certainly be the only time I’m ever in the same room as somebody spending upwards of £7 million on, well, anything. 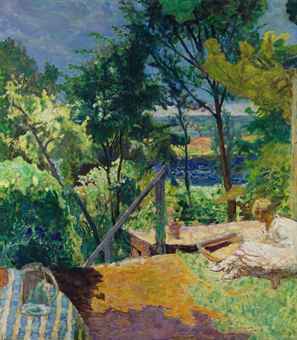 The big seller was Lot 10, a Pierre Bonnard oil painting from 1923 that went for £7.2m in a lengthy contest. The entire Bonnard bidding process can be witnessed here and is an interesting example of what can take place in this unusual atmosphere of extreme wealth and refined competition. At times, when the auctioneer is registering bids – ‘3.5… 3.8’ you have to remind yourself these are millions of pounds he is talking about. A painting can double in value in seconds. Note also how polite the auctioneer is. He personally addresses the bidders by name and asks them if they will continue to bid, delicately stoking their interest without seeming too pushy and occasionally breaking the tension with a joke. There is no aggression here, no way you could ‘accidentally’ bid for something, and the bidder is also given plenty of time to say whether they will maintain an interest. It is not the clock you are competing against. Bidding also goes up quite gradually. You are not attempting to blow your opponent out of the water poker-style with an eye-watering bid, but merely hoping to part with as little more than your direct competitor is prepared to pay then you can get away with. For this reason, battles can be protracted. The Bonnard contest perhaps went on a little too long for the purists, but even I could detect the air of disappointment when the auction’s landmark painting, a Gaughin estimated at up to £10m, failed to meet its reserve and was withdrawn from sale. Could nobody really be bothered to fork out for this work? The room sighed. Some of the things I witnessed intrigued me. 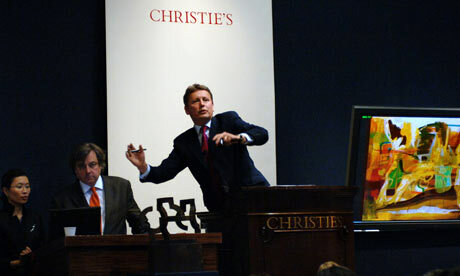 The auctioneer is Jussi Pylkannen, who also happens to be the President of Christie’s Europe, so each increment of £100,000 will translate directly into profits for the company’s coffers. No wonder he gives people time. At one point in the Bonnard sale, he started accepting bids of £50,000, much to the annoyance of the man sitting next to me who felt that ‘splitting the bid’ so late in the day simply wasn’t on. But it’s all profit for Christie’s. I was also interested to see that many of the Christie’s senior management – including Olivier Camu and Giovanna Bertazzoni, who organised the sale – were now manning the phones, bidding on behalf of individual clients and offering advice on what to go for. This put them in a curious position, although given that Christie’s itself is essentially just a gigantic middleman, not a particularly troubling one. The auction room itself is a busy, noisy place, packed with an international clientele of around 500 people dressed in their finery and younger than I expected. For some it was clearly seen as an exciting way to begin a night out in London. Most of the bidding was done on the phone, but some came from people in the room. I wondered whether people deliberately remove themselves from the room so they can avoid the tension and the sort of ‘testosterone bidding’ I had been told about. A man near me purchased a Picasso for £500,000 while slouching against a pillar, desperately trying to look casual. As his bid was accepted he barely looked up, but the arm holding the paddle was trembling. An elegant woman right at the back suddenly became involved in a fascinating competition over a Max Ernst sculpture, that was expected to reach £350,000 but eventually went for over a million. Between bids I watched her take instruction from a mobile phone. Was she bidding on behalf of somebody else, consulting an lawyer or accountant, or was she seeking approval from her husband before busting his budget over the million pound mark? The billionaires who deal in this market are, after all, overwhelmingly – but not exclusively – male. The battle over the Ernst sculpture reminded me of something Bertazonni had said – that sculpture had become hugely popular in the post financial crash art market, ‘as though people wanted something tangible, three-dimensional’ to hold on to. This piece of tangibility cost somebody £1.3 million. Security comes at a price. I am going to be blogging current affairs type stuff over at Snipe, in the illustrious company of Adam and Darryl. My first post about the Old London Underground Company can be read here. You can also read more of my stuff over at the Time Travel Explorer blog, which is devoted to maps and history. My latest piece is about the constancy of one London burial ground. Continuing a bookish theme, a couple of current and forthcoming releases have caught my eye. 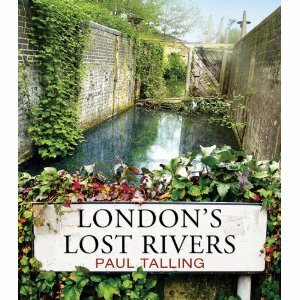 First is ‘London’s Lost Rivers’ by Paul Talling and published by Random House. This is the first serious update of Nicholas Barton’s classic 1950s underground river book and it will be interesting to see what new information about the Fleet, Effra, Westbourne et al that he has uncovered. The second has been catching my eye in the window of Herne Hill Books every time I walk past it. 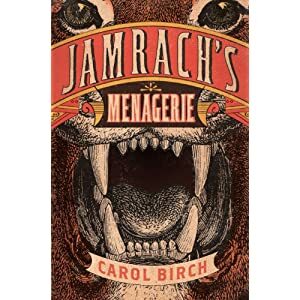 ‘Jamrach’s Menagerie’ is a novel by Carol Birch published by Canongate. This is a novelised account of the famous occasion a bengal tiger escaped from London petshop Jamrach’s. It was from this shop that the animal-loving artist Gabriel Dante Rossetti probably purchased the pet wombat, whose death left him so bereft. Incidentally, if any publishers are reading this and fancy sending me London-themed books to add to my collection, my conscience would have no hesitation in happily accepting them. Although I’m late to the party as ever, I see via Chris Fowler that Londonist editor M@ has come up with his personal list of the 15 best non-fiction books about London. It’s a good list, as you would expect, and has prompted me to come up with my own favourite 15. The definitive A-Z of London history, fascinating and accessible. I much prefer this to narrative histories like Roy Porter and Peter Ackroyd. My single favourite piece of narrative London writing, featuring Morton wandering around the bomb-battered city in 1951, describing what he finds and remembering what it once looked like. A fascinating look at the tangible forces that have shaped the infrastructure of London, and a welcome antidote to the airy tediousness of so much contemporary psychogeography. Excellent and accessible cartographical guide from 1993, divided into sensible sections and well illustrated. Hefty Victorian guidebook that is an intriguing contemporary reference source. 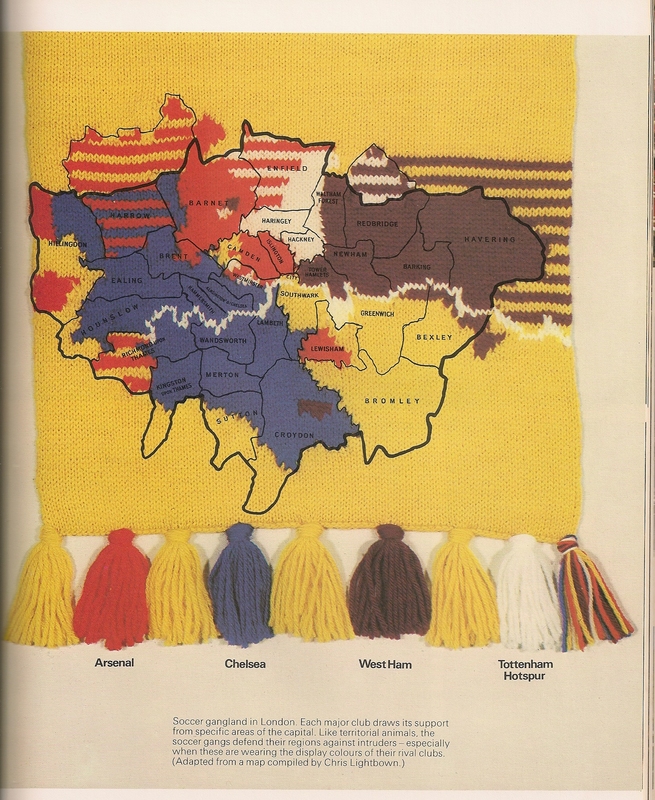 A Danish architect analysis in 1937 why London looks like it does. Definitive and readable recent history of the London tube. The classic guide to the old rivers of London, first published in the 1960s and flawed, but still the best. Superb study of the London Mob through history, recently updated. To be honest, it’s on a par with the many other subterranean London books, but makes my list because it was written by a bloke called Trench. Wonderful late-Victorian journalism from the destitute East End. I should also include Henry Mayhew’s ‘London Labour And The London Poor’ but shamefully I’ve only ever dipped into it. Following in HV Morton’s footsteps, Sandhu explores the nocturnal economy of 21st century London. One of many ‘Secret London’-style books I own, but probably the best looking. See also the fine recent ‘Secret London: An Unusual Guide’, ‘Eccentric London’ by Tom Quinn and ‘Curious London’ by Robin Cross. A biography of working-class South London.